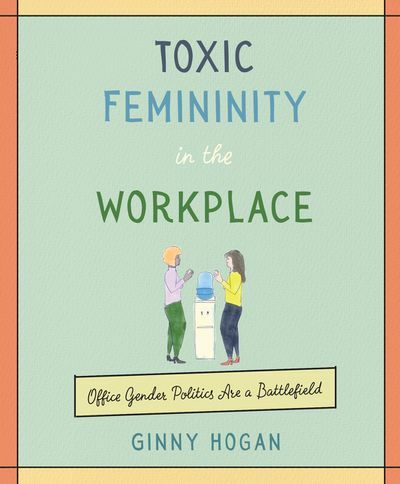 Ginny's first book, Toxic Femininity in the Workplace: Office Gender Politics Are a Battlefield, will be released on September 10th. You can pre-order it on Amazon or at the HarperCollins site. The book is based on Ginny's viral New Yorker article, Examples of Toxic Femininity in the Workplace. It's published by Morrow Gift, an imprint of HarperCollins. Insinuate you would be better at taking notes because your “handwriting is easier to read”? Repeat your ideas in a louder voice because you “speak so quietly”? Lament that there aren’t more women in your office to you, the only woman in the office? Imply that the gender gap in pay is being solved by free tampons in the lavatory? Congrats! You very well might be a woman at work, and this book is for you. Or your friend. At least, we assume you’re friends, because you both work at the same office and are both women! Clearly, we should all read this book.